As with any form of gambling, if you don't take some basic precautions, online poker can become addictive. Playing online poker should be fun, not a stressful problem. Here we take a look at steps you can take to make sure you don't fall down that slippery slope into addiction. 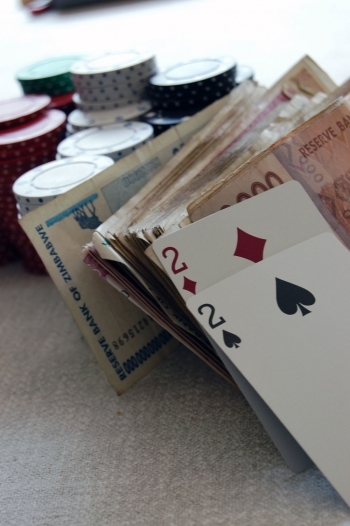 It helps to have a certain amount of money set aside specifically for your online poker playing. Make sure that this is money you can afford to lose. By keeping this amount separate from your other finances you'll be far less likely to dip into your personal finances and spend carelessly. Keep track of the amount of time you spend playing online poker. It can be easy to get carried away with the game, playing one game after another, and before you know it, you've been up all night with no track of where the time went. Instead, set aside a certain amount of time each week to play and stick to it, and you'll find the game far more enjoyable when you do play too. Online poker and alcohol and drugs do not mix. The world's top players would never drink and play, as concentration and mood control is a huge part of playing the game seriously. As well as making it far easier to spend money, drinking and gambling can affect your concentration, leading to more mistakes, bigger losses, and a far less enjoyable online poker experience.